Mobile Marketplace is a new venture in India for businesses to recycle their existing mobile devices in bulk. The interface allows for large orders of handsets to be collected from companies and purchased. 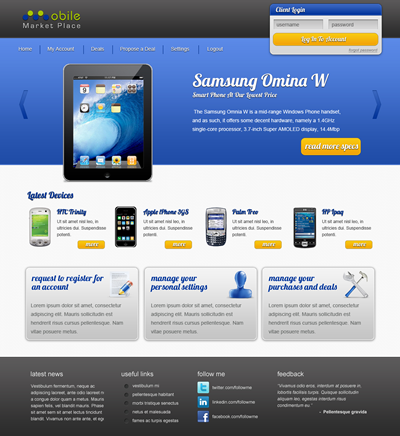 However, the site was naked; without styling, graphics or interface for the customer to interact with. The new interface uses jQuery and tableless CSS design to allow for fluid layouts across a variety of monitor and device screen sizes. It also allows for interaction between the database and the homepage scrolling showcase – giving Mobile Marketplace a unique feel in the market in India.